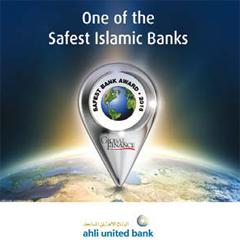 KUWAIT: Ahli United Bank Kuwait has been selected as the “Second Safest Islamic Bank in Kuwait 2016”, and the fourth across the GCC. The Bank’s recent award was announced for the second consecutive year by Global Finance magazine, one of the world’s most influential financial publications. Richard Groves, the Bank’s Chief Executive Officer said, “This is an award of which we can feel justifiably proud, especially as the selection for the award was completed after a thorough and comprehensive analysis process around the banking sector’s stability in the region. AUB’s achievement is a testament to its continued success as a leading innovative Sharia-compliant bank operating with international standards. 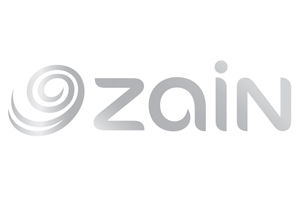 This has also been recently demonstrated by our successful capital raising through a Perpetual Additional Tier 1 $200 million Sukuk, which was more than three times oversubscribed by investors from the GCC, Europe and Asia. AUB has also been awarded the “Islamic Bank of the Year 2016 for Kuwait” award from the international magazine The Banker for the fourth consecutive year. Groves added, “Receiving this award is a reflection of AUB’s continued development in a number of areas and mirrors the Bank’s renowned reputation. The continued success that AUB demonstrates outlines the Bank’s management’s commitment to drive and facilitate our up-to-date and innovative Sharia-complaint banking services to a large customer base. 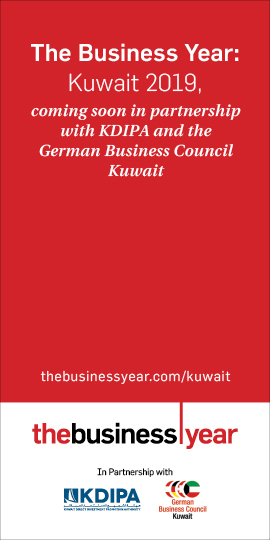 The Bank offers its services through a network of 38 branches across Kuwait.”. Groves expressed his gratitude to the Bank’s customers, where their trust and loyalty have contributed to AUB’s strength. Moreover, the commitment of staff and employees has also been at the core of the Bank’s success. Global Finance is a leading publication that covers international financial news across 192 counties. The magazine issues the “Safest Banks” report annually, which is based on evaluations and special standards that permits banks to be eligible for this list. This includes strong long term credit ratings from Moody’s, Standard & Poor’s, as well as Fitch. It also includes assets of 500 banks across the Emerging Markets, and their ability to play a leading role in driving economic development in the regions they operate within, in addition to applying safety measures, an important practice in the banking industry that creates a strong trust and satisfaction channel with customers. These measures are then reflected positively on the bank’s varied activities.